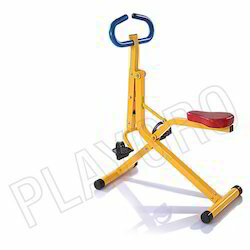 Providing you the best range of twister - kids toy, flexer - kids toy, treadmill - kids toy, rowing - kids toy, balancer - kids toy and cycling - kids toy with effective & timely delivery. 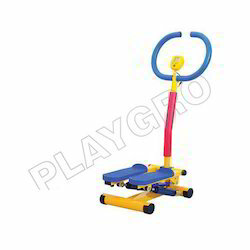 we are offering Twister - Kids Toy. we provide this set in different sizes, finishes and specifications in accordance with clients requirements. it is also known as twisting machine. 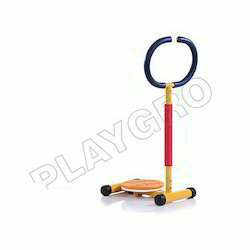 Continues with the support of our adept and seasoned professionals, we are devoted towards offering Flexer - Kids Toy. 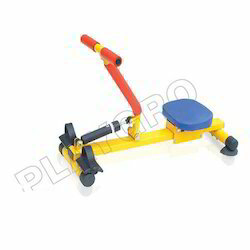 The offered flexer is manufactured with optimum quality of basic material coupled with latest techniques at our well established manufacturing unit. This flexer is checked from our end in order to assure its defect free range. Offered flexer is made available in various sizes, shapes and designs that can also be customized as per requirement of the clients. 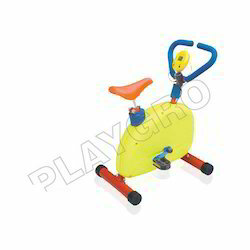 We are an acclaimed name engaged in offering our precious clients a superior quality range of Treadmill - Kids Toy. 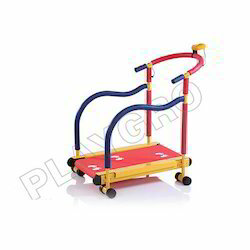 This treadmill is designed using premium quality material and latest designing techniques in sync with the trends of market. Further, we provide this treadmill in different sizes, finishes and specifications in accordance with clients’ requirements. 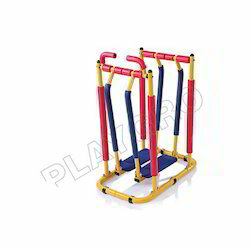 Clients can avail this treadmill at industry leading prices from us within a given time frame. Looking for Kids Gym Series ?